While many homebuyers have filed cases and spoken up against Marvel Realty, a few of its customers have restored to a rather unconventional route to make sure they get work on their homes completed on time. The project named Marvel Piazza is currently under construction. Its apartment buyers have resorted to open communication online so that there is a smooth and hassle-free communication between them and Marvel Realty’s CEO Vishwajeet Jhavar. Another reason they took this step was they feared their hard earned money would go down the drain if work on the project halted. Marvel Piazza is located in the plush area of Viman Nagar. It also enjoys very close proximity to Pune Airport. This is mostly why many buyers had invested in it a few years ago. Army man Dr. SK Mohapatra is the brain behind this initiative. He revealed that he had sold off both his flats in Pune to buy a 3.5 BHK apartment in this luxurious project. His 2016 agreement stated that he would be granted possession of the flat in June 2018. However, he still doesn’t have his dream home yet. Instead of becoming disheartened by his experience, he decided to ensure he and the many more like him get their homes. He got in touch with other home buyers of the project and the rest, as they say, is history. 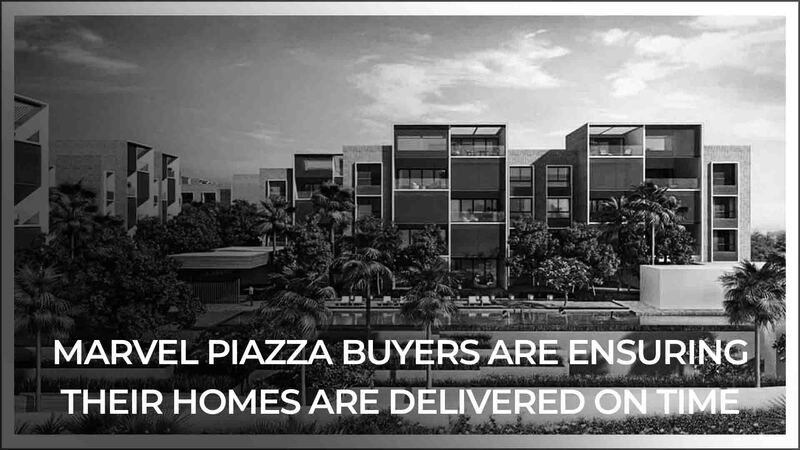 This luxurious project was supposed to have lush homes, with a swimming pool, club house, and boutique area with state-of-the-art automation and these buyers are determined to make these promises a reality so that they can avail of them. Marvel Piazza was launched five years ago but its actual work commenced the year after. It was noticed that work had slowed down around the time demonetisation was announced in 2016. By December last year, around 68 out of 164 flats to be constructed in Phase 1 had already been sold. This situation led to panic like situation amongst the buyers. When Dr. SK finally contacted them, they were open to ideas that would help their cause. What started out as a WhatsApp group of just six residents became a mini peaceful yet effective online movement of all 60 buyers. Once everyone was painstakingly on board, they all sought communication from Vishwajeet. Upon learning of the existence of the WhatsApp group, he organised a meeting with them in late 2018. Work which had become dormant for eight months commenced once again. The buyers’ perseverance paid off as they have been assured that they will be granted possession by September 2019. They are also updated about each development and given revised dates about anything significant related to their homes. Marvel Realty, project coordinator Shilpa Shinde confirmed the news. However, all is not rosy for Vishwajeet and his company, merely two days after he got out of jail, he has been accused once again by Satish Gundewar of not being given a commercial unit in a project named Marvel Edge. Cops immediately acted upon the complaint which states that Satish had bought the property in 2014 and had paid Rs 92 lakhs to buy it. ALSO READ: What Led To The End Of Marvel Realtors Dream Run?